“Leaving Triscuit” is only $2.99 through Labor Day. Get yours! Today is National Dog Day. Yes, there’s a day for everything it seems—but why not mark this day and do something heroic for your precious four-legged kids? Leave the earphones at home. Earlier this year I wrote a post “If These Dogs Could Talk,” and I urged parents to not tune out walks outside. If you plug in your earphones while on a walk you might miss a sound, and action and new behavior you never saw before. To say nothing of the safety concerns of a preoccupied parent. Make them a special treat. Self explanatory! Every pet has that *one thing they go crazy for, so spoil them a little. Dogs live to be in service to us, so get them to do some tricks and then reward them with the good stuff. Take them on a road trip. This doesn’t apply to all, but it sure does in my house: if your pet loves the road like Triscuit, take them out on a quick journey this weekend. Even if it’s to the market in back, a special park—whatever. It’s a great way to show them they matter and that they’re loved. Always leave in the best way possible. This last bullet is a naked plea to have you buy the book, but it’s a real conundrum: how can I communicate with my dog or cat the fact that I’m going to go on a trip, and that—most important—I’m going to return? Leaving Triscuit is all about how you can turn that leaving in to a critical learning experience. And, if you’re like me, you can erase all the worry and dread about going on trips for good with the techniques I’ve collected. Mystical Challenge. Without spoken language, our relationship with our pets is a mystery. Or is it? When Zippers Fly. 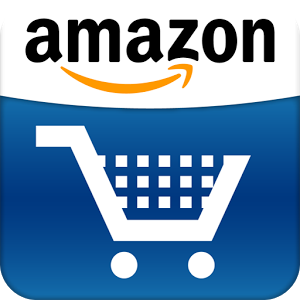 Dogs and cats hear that sound and it’s like fingernails on a chalkboard. But there’s a big mistake I made and you need to learn what it is so you don’t repeat it. Away Game. Some great techniques you can engage while you’re on your trip and away from your furry friends. Dropcam, picture imaging and many other ideas to keep you connected through time and space. Reunited. As great as the feeling is, this point in the process needs planning, too. And there are a number of ways you can make it even better. “Leaving Triscuit: Conscious Goodbyes, Happy Homecomings” is a direct-to-Kindle title and is only $2.99 for a limited time! Will Pollock is freelance multimedia culture, politics, media and entertainment journalist based in midtown Atlanta. He is an author of two books ("Pizza for Good" and "Leaving Triscuit), with more in the pipeline. Will is a photographer, musician, content wrangler, curator and artist. He is founder and director of ARTvision Atlanta, which in 2016 will be celebrating 10 years and $60,000 in fundraising. He writes about politics, pop-culture and other nonsense on his blogs, and you can follow him on Twitter @bywillpollock. 08.02.16Please Join My ‘Leaving Triscuit’ Blog Tour! "Leaving Triscuit" by Will Pollock will help you ease travel stress by redefining how you leave your pets. Buy now to learn how this rescued Rat Terrier helped his owner learn compassionate communication techniques. 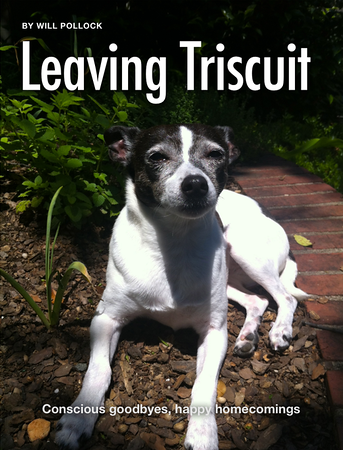 Please Join My ‘Leaving Triscuit’ Blog Tour!